We are The House of Fables: an independent studio from Poland specializing in casual games. 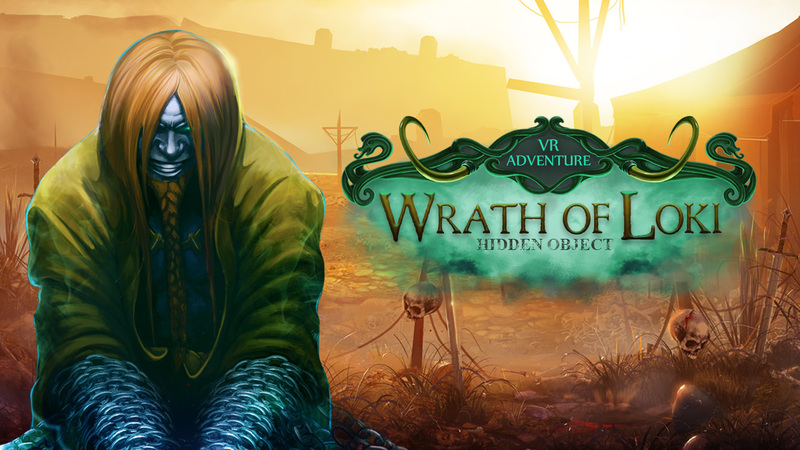 With our games, hidden object scenes and logic puzzles are the most important aspects of gameplay. This year we decided to translate our experience in making Hidden Object Puzzle Adventure games into Virtual Reality (VR). We instinctively felt that beautiful hand drawn hidden object scenes could be much more fun to play in 360˚. At the same time we knew that VR projects were dominated by horror and thriller experiences. Therefore we decided to do something completely different: a relaxing experience based in pleasant locations and with casual puzzles. This is how Wrath of Loki was born. We selected a topic: Nordic mythology, and created the concept for a game set in Asgaard. We called it a VR Adventure, started working on the prototype and suddenly our world changed. We started having adventures ourselves! The first adventure started during the development process. It soon turned out that our usual way of preparing assets was not going to work for VR. We had to figure out an entirely new production pipeline. We had to convert our hand drawn 2D locations into the 360˚ technology. It took a lot of learning and many iterations of trial and error. It’s not so easy to draw a “flat” 2D world in such a way that it can be applied onto a sphere and transformed into an immersive environment that gives the player the illusion of being inside a 3D world. We needed to find a way for the parallax to work. At the same time we tried to create a user interface that would work naturally with head movement and gaze controls. Our main goal was to create an interface simple enough so that it would not destroy the feeling of immersion. And there was still the issue of moving between locations. We decided that magical portals that transfer you between the worlds would be the most natural choice for Asgaard. Tjis also helped to fight motion sickness. Turns out that magical portals are a perfectly acceptable way of travelling in VR. VR development posed other problems. The puzzles and challenges we were used to producing were not easily transferable into VR. Difficulty levels that are appropriate for mobile or PC games are not applicable for a headset and gaze based interface. We had to find the golden mean between a puzzle, that is “too easy” to solve and one that is “too annoying” to complete. Classic mini-games, such as joining dots, etc. can be tiring and burdensome in VR, despite being a very simple and well known mechanic. Even hidden object scenes had to be designed in a different way, to ensure that all 360˚ of the backgrounds are utilized. We also implemented our own version of the inventory and hint button, but not all players found them intuitive to use. So we did the only thing we could do: try, try and try again, failing over several attempts until we eventually found an acceptable solution. It took a lot of testing and adjustment to make it work, but this doesn’t mean we stopped looking for better ways to do it. Soon after our game was invited to be part of the Chinajoy conference in Shanghai in July and was selected to be shown at PAX West in Seattle in the beginning of September. We were to go on and present it in the Indie Zone of the Tokyo Game Show on 15-18 September and it was also shown at Poznan Game Arena in October. 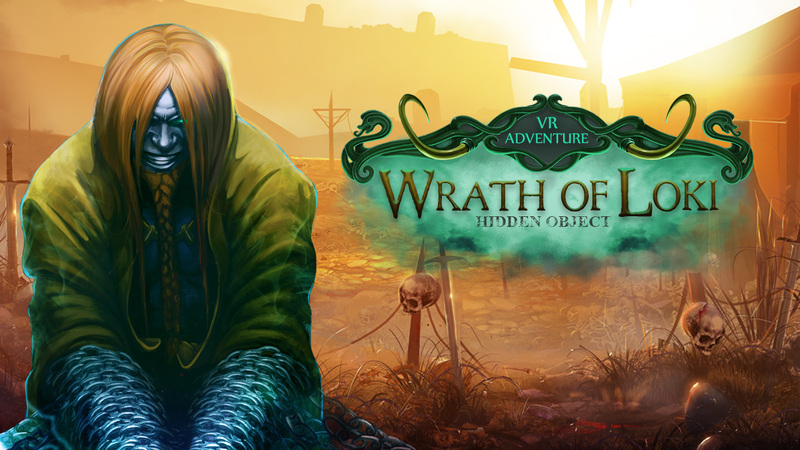 Finally, Wrath of Loki collected the Best VR Game and Most Innovative Game awards at the Casual Connect conference in Tel Aviv in November 2016. Three continents in three months, thousands of people trying our game, press, awards: all this resulting in an altogether new experience for us. During these months we went from prototype to a released game. We were able to use the fantastic feedback from the many players, coming from every possible background. It seems we wanted to offer the world a VR adventure, and instead the world offered us an adventure that turned out very real! Releasing our first VR project and the path leading to it's release was another true adventure. Our experiments, trials and errors would not be possible without the rapid technological progress of Unity 5.4's VR support. It was a big help for us and saved us a lot of development time. It's great how smoothly Unity evolved into a VR development platform and how easy it is to create VR games using Unity these days. future projects the introduction of the menu or UI to the players should be entwined into the first location (not made via a tutorial). A menu that is a natural element of the location (for example: a cockpit in a spaceship) is much better for the feeling of immersion. It can be fun to learn and could be perceived as a part of the game, not as a boring interface. As you can see, we have a long list of improvements for our future VR adventures!